The Western Wayne County HMRT was formed in 1987 by the Western Wayne Fire Department Mutual Aid Association (WWFDMAA) through the cooperation of 23 communities. The team currently has 45 members that come from Mutual Aid Associations Fire Department that are located within the Detroit metropolitan area. The Western Wayne County HMRT, or “Haz-Mat” Team, has a response area that encompasses parts of three counties, thousand of squired miles, and protecting more than 2.9 millions residents. The team is also responsible for incidents at the nation’s 11th busiest airport, Detroit-Wayne County Airport (DTW) which handles 40 million passengers and 360 million pounds of cargo each year. The airport alone has an annual economic impact on the region of $15.2 billion. The team’s success is directly credited to its Coordinator Chief Whitehead, the eight Team Leaders and the outstanding support and cooperation provided by each community of the WWFDMAA. 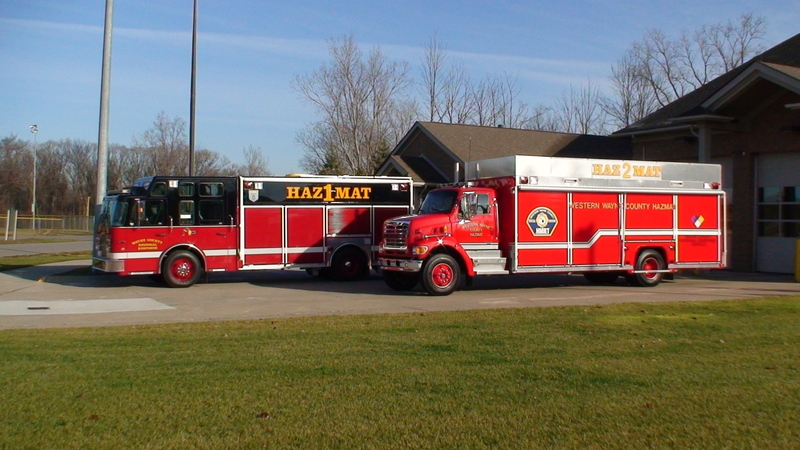 In 2005, the Haz-Mat team became one of eighteen Regional Response Teams or “RRT” for the State of Michigan. Since becoming an RRT, They have increased they’re resources so that they are able to respond to larger incidents, including those related to weapons of mass destruction. By becoming an RRT they also increased they’re response area to the entire state of Michigan. Shortly after September 11, 2001, Michigan recognized the need to respond to terrorist attacks and the likelihood that weapons of mass destruction (WMD) would be the means and method of affecting far reaching public casualties across our state. To address these threats, Michigan established a Regional Response Team Network (RRTN), comprised of seventeen hazardous materials team (a.k.a. Haz-Mat Teams). The Haz-Mat Teams chosen represented the best and the brightest the State of Michigan had to offer, as they had already demonstrated state-wide cooperation on hazardous materials spills and releases, as well as providing outstanding resources and support to other emergency response networks. Since its formation and over the past eight years, the RRTN has been providing rapid emergency response assistance for events involving WMD and acts of terrorism, coordinating resources and professional expertise for a wide range of disciplines and across local, state and Federal levels. Additionally, the RRTN and local resources and communities, augment and heighten the emergency response efforts of the Michigan Department of State Police and their resource divisions: the Emergency Support Team, the Canine Unit, and the Bomb Squad. The Livonia Fire & Rescue Department is home to the Western Wayne County Hazardous Materials Response Team (Western Wayne County HMRT). 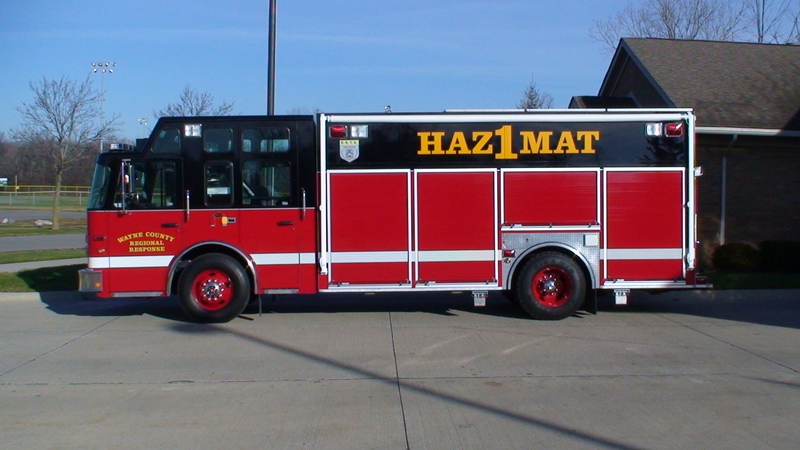 Currently, Western Wayne County HMRT “Haz-Mat 1” calls Station 3 home, which is located on Seven Mile Rd. in the city’s northwest side, responds to all incidents involving hazardous materials. Strategies and Tactics of Boom Op's Jun 09, 2013 Strategies and Tactics of Boom Op’s presentation by Michael Magda at the 2013 International Hazardous Materials Responds Team Convention. Download: Strategies and Tactics on Boom Op’s.